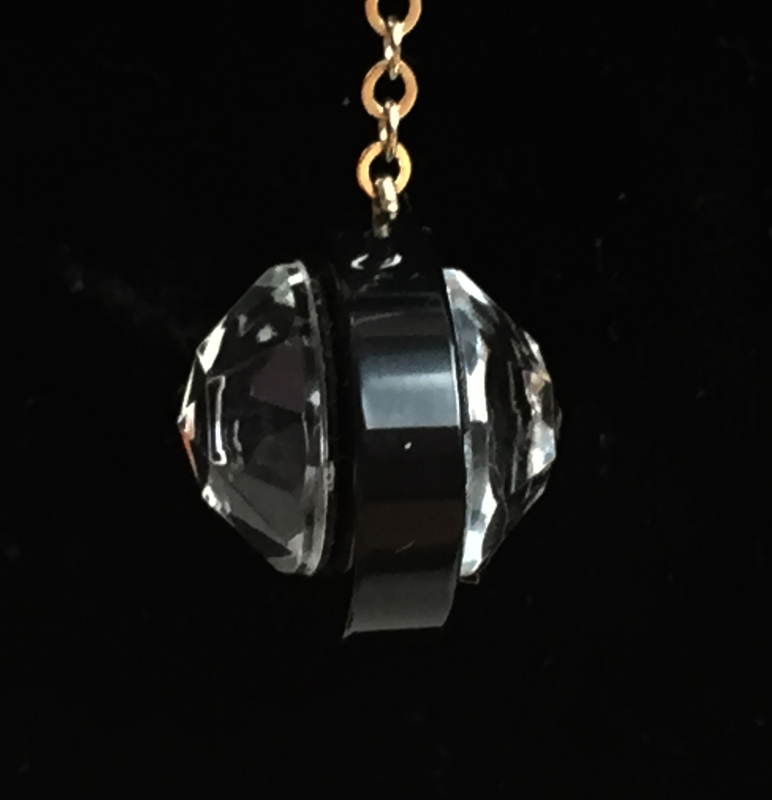 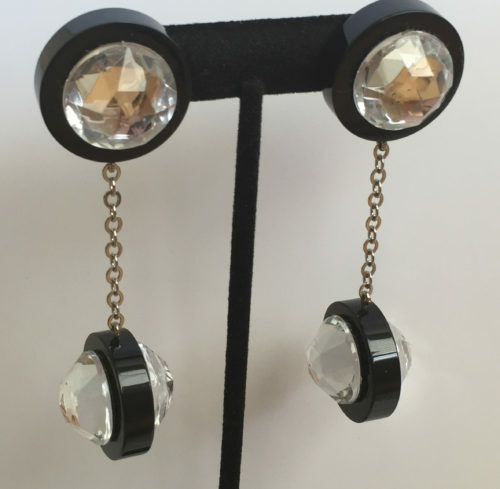 Swing into style with these dramatic Judith Hendler black acrylic and crystal drop earrings. 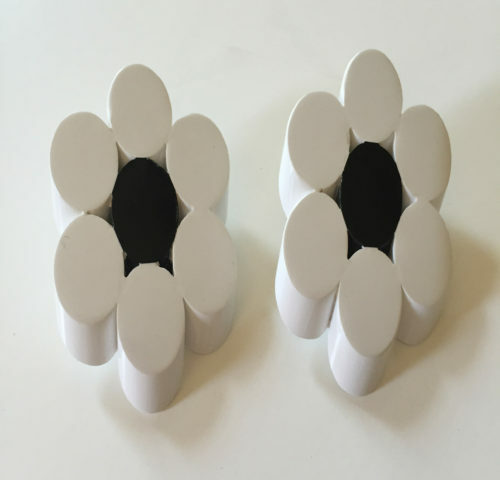 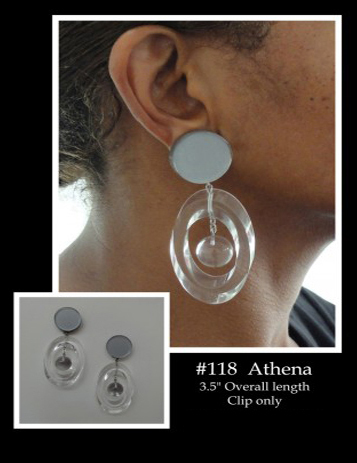 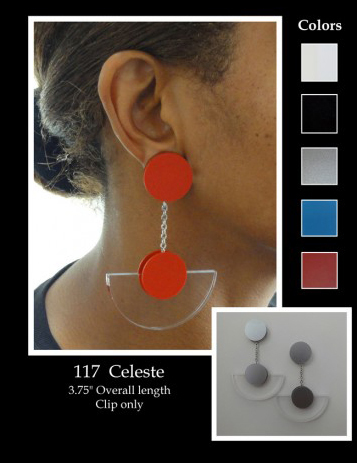 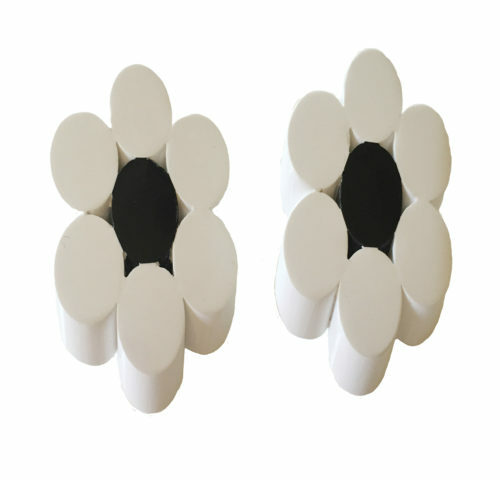 Look like the rich and famous with the gorgeous pendulant earrings. 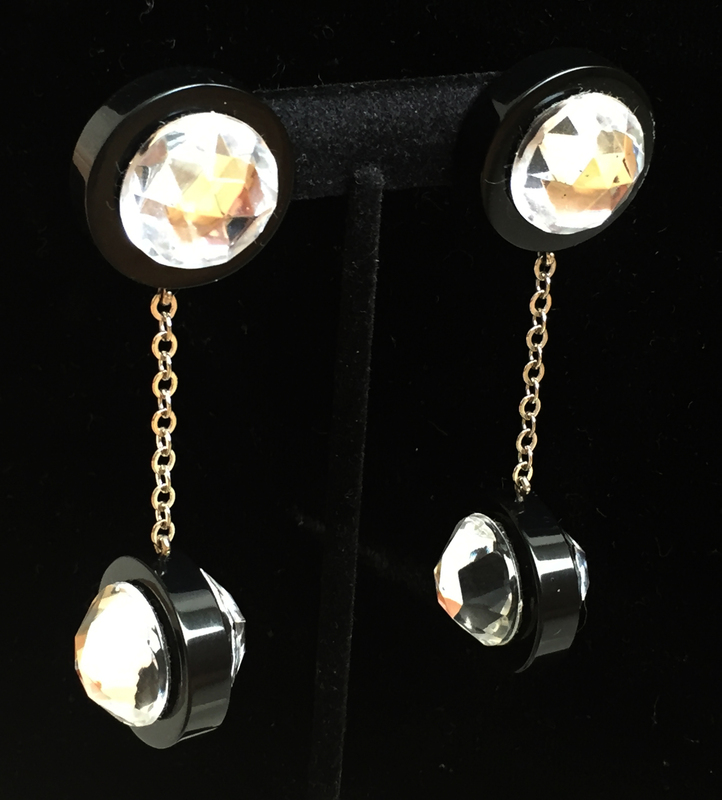 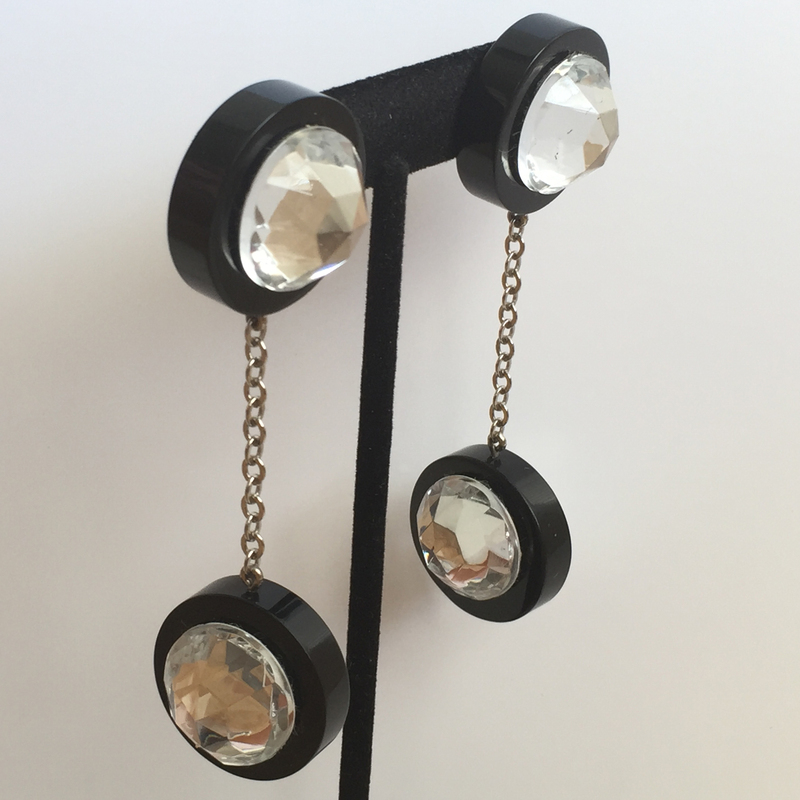 The earrings feature a circular disk this is surmounted by a faceted acrylic crystal rhinestone with a suspended delicate chain terminating with a double-sided jeweled drop featuring matching faceted acrylic rhinestones.